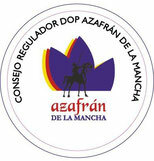 Look for this label, which is the only guarantee that saffron meets the requirements set out in the specifications of the Control Board of Protected Designation of Origin Saffron of La Mancha. 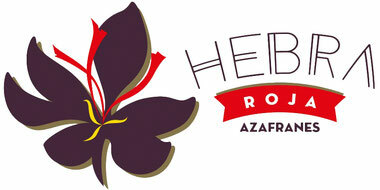 To be grown in Spain, particularly in certain municipalities in the provinces of Albacete, Ciudad Real, Cuenca and Toledo. Having only strands shaped appearance. To be always marketed and packaged in quantities not exceeding 100 g.
Never exceed the quantities packaged the previous year. 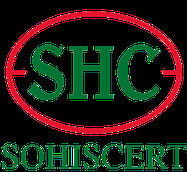 Certain characteristics of purity, physical – chemical and organoleptic composition. 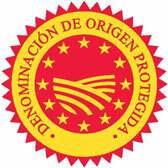 The conformity mark of Protected Designation of Origin Saffron from La Mancha is itself a triple guarantee of: the highest quality in food safety and characteristics of colour, aroma and flavour; and the origin of Spain. 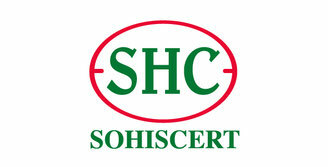 The following Agency Control certifies our product.